Do you need a check processing service for your business? Accept out-of-town and out-of-state checks safely and with less risk thanks to AMG’s check verification services and guarantee solutions. With our check verification and guarantee solutions, checks can be approved or rejected at the point-of-sale in seconds. If an approved check is returned from the bank, it can be submitted for processing and reimbursed within 30 days. Deposit Customer Checks Directly into Your Bank Account. Imagine a check transaction that feels just like a debit card transaction. 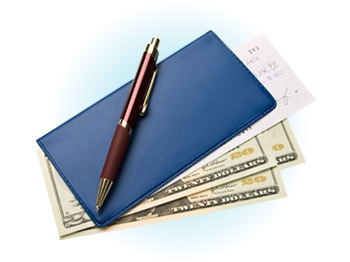 The value of the check is automatically deposited to the merchant’s account electronically within 48 hours. With AMG’s electronic check conversion solutions, this is a reality. Offer extended payment options to customers for large purchases, without risk of loss. Our recurring ACH solutions offer automatic billing at increments you program using a web-based ACH processing tool designed for small and medium sized businesses. Future payments can be automated with more than 10 different scheduling options. Managing Accounts Receivable has never been so easy.